Join K.I.T. 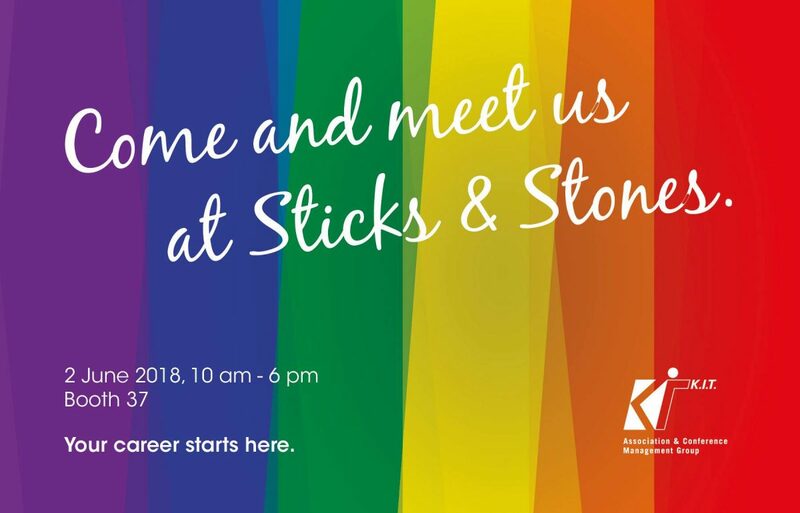 Group at Sticks & Stones, Europe’s largest LGBT job and career fair. Together with Messe Berlin we will be pleased to get in touch with potential candidates for one of our open job positions and to discuss our daily business in the exciting field of conference and event management. Our conferences and events are as diverse as our clients and partners. It goes without saying that our teams are also full of diversity to achieve the best results for our customers. Regardless of origin, gender, education, religion or sexuality; the only thing that matters is you. So if you are interested in working in the exciting field of conference and event management and if you want to learn more about career opportunities, catch up with K.I.T. Group at booth 10.